The Rotary Club of Sierra Vista, Arizona and The Rotary Club of Agua Prieta, Sonora, México, are putting the "I" in "Rotary International" with a hands-on experience of this year’s International Grant Project. The Sierra Vista club sponsors bus stop shelters with the Aqua Prieta club to provide protection from the weather for school children and local passengers using the city bus system. The Sierra Vista Club and the Agua Prieta Club have jointly sponsored bus stop shelters, safe drinking water projects for public areas, blanket programs, and ‘bikes for grades’ programs over the past 6-8 years. 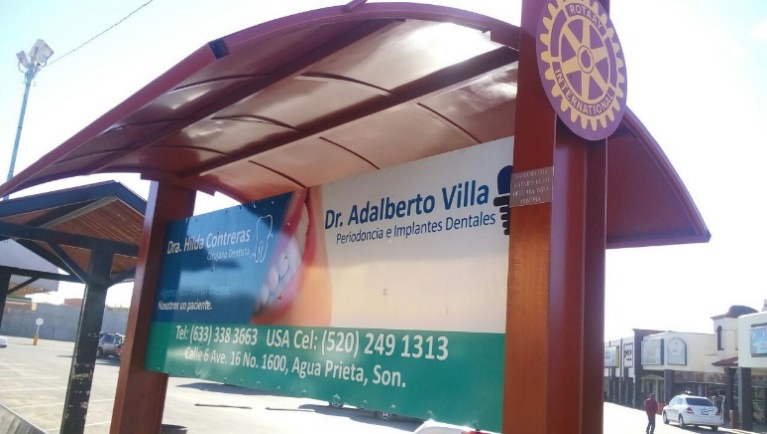 This year, the clubs decided to get together to dedicate the latest completed bus stop and to celebrate with a picnic/Bar-B-Q held at the Agua Prieta Rotary Club House. 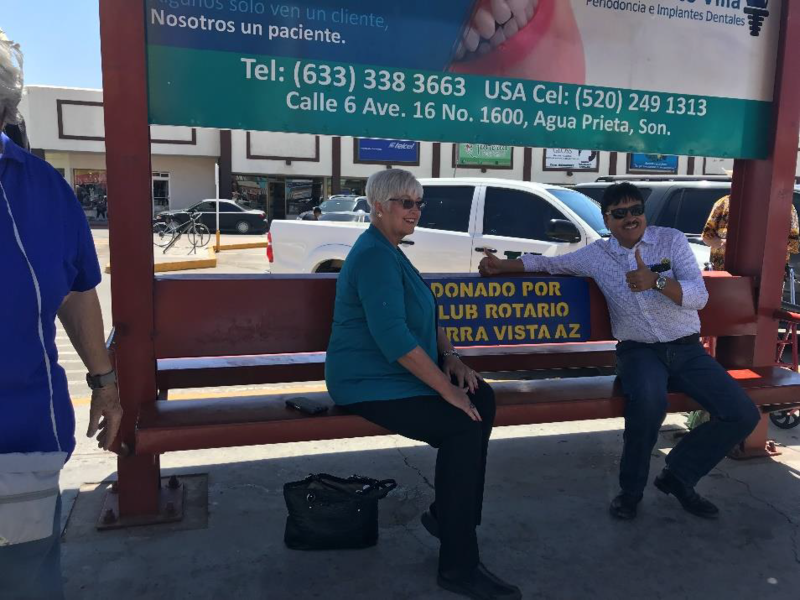 The cross-border visit caused Club International Director, Karina Rice Roberts, to execute special planning with the Agua Prieta club to plan for a ceremony on-site at the bus stop, add time for shopping, make a bakery stop, and provide a delicious lunch with drinks, laughter and good times in Mexico. Karina arranged for the shuttle bus service from Sierra Vista to Aqua Prieta and made it simple for the club members, using the shuttle to take them all around Agua Prieta.